Matt Rose has been a professional mechanic for over 20 years. He takes great personal pride in finding the root cause of your automobile’s problem, and repairing it to the finest possible condition. Matt doesn’t take short cuts. For him, a job has to be done correctly the first time, period. At age 15, his first job was as a mechanic’s apprentice at Noble’s Union 76 in Yorba Linda, CA. From this humble beginning, he knew that being a mechanic was the work he was meant to do. Completing every job, and taking care of each customer’s individual needs, gave him a true sense of personal satisfaction. In 1983, Matt began working for the McKenna Auto Group (Audi, BMW and Volkswagen) in South Orange County, and gained a great understanding of German car engineering. He came to appreciate the German car’s simple, efficient design and built-in performance, which was well ahead of its contemporaries. Working with German cars, Matt realized he had found his niche. In 1987, Matt began looking for a greater challenge, and joined the US NAVY as a jet mechanic. After studying aviation repair, he was assigned to VF-21 and F-14 Tomcat squadron in Miramar, CA. Matt excelled in his field as an aircraft mechanic, and was honorably discharged after his four year tour of duty completed. Again looking to expand his technical experience and education, in 1991 Matt enrolled in the Universal Technical Institute in Phoenix, AZ, where he received his Associates of Technology degree. With degree in hand, he worked as a mechanical engineer and field technician in industrial and commercial cold storage and processing until he opened his own Commercial Refrigeration and Air Conditioning company in 1994. Over the years, Matt continued to repair, build and restore cars for himself, as well as friends and customers of his Commercial refrigeration business. 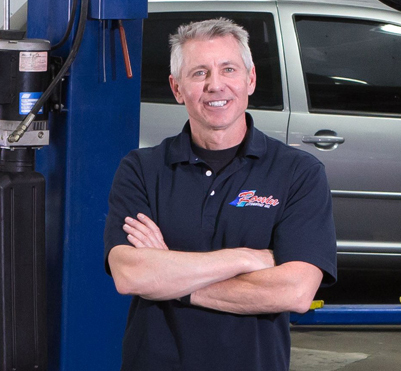 In 2003, he decided to put all his effort into opening and operating a service-oriented auto repair shop. To ensure he had the most current technical expertise, he went back to school to update and increase his already impressive knowledge of cars, as even though the fundamentals of car repair have remained the same, technology has substantially progressed over the years. Matt took dozens of courses over thousands of hours to better understand the latest technologies, including fuel management, air bag and safety restraint systems, and anti-lock braking systems. In 2004, Matt took the certification tests offered through the Automotive Service Excellence organization, earning his ASE Master Technician Certification and Advanced Level Specialist Certification in Engine Performance. ASE Certification is the highest regarded test program offered to professional mechanics in the country, and certification as a Master Technician is the highest accreditation an individual can receive.